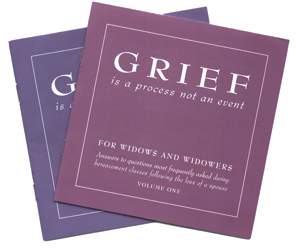 Each HelpLetter® outlines an stage of grief that may be happening and helps the reader to understand how they may be feeling and gives valuable ways to cope. ANYONE CAN ORDER A SUBSCRIPTION of the AfterLoss HelpLetter®. Simply fill out the form below or contact us and we can help you. Do You Have Multiple Subscriptions? You may use this form to send a gift subscription of AfterLoss to a family, members of the clergy, counsellors, loved ones and anyone who has had a loss. Simply fill in the form below and submit to AfterLoss. We’ll do the rest. Please fill out your information. If you have an account with us, an invoice will be sent to the address on file. If you do not have an account, we will contact you for a credit card payment and send an invoice to the address provided. The person listed will receive their gift subscription of AfterLoss and will continue to receive their newsletters ​​each month for ​the duration noted. If you would like a special note included with your subscription, please fill out the below Special Note area below and we will send it with your gift.